Cigarette Price Watch: Do I need to steep my eliquid? Do I need to steep my eliquid? Steeping e-liquid means letting your ejuice rest for a while after its made. Most eliquid does not develop the full breadth of its flavor right after production, instead there are several methods you can use to create a better flavor in your e-liquid. To put it simply, steeping means just letting the bottle of e-liquid sit there for a certain amount of time before using it. Some say only a week is necessary, others wait several months. 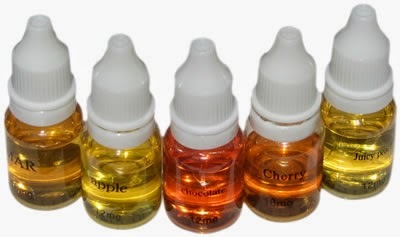 Much of the time required for eliquid steeping depends on the brand and flavor. One thing you can do it periodically try out the flavor to see if it has developed enough. It is your choice whether to allow the e-juice to steep with the cap on or off. Some believe keeping the cap off allows for better airflow for steeping. I tend to keep the caps off myself. E-liquid Steeping Technique 2: Shake it up! At certain periods, like daily or twice a week, you can pick up the bottle and shake it up (with the cap on), to speed up the steeping process. This is not required, but it will steep the liquid quicker. Slight heat makes the steeping process faster. Keeping your juice in a warm but not hot environment will let the eliquid come together better. Basically, if you want the best vape possible, it is generally better to let your liquid steep, especially if you buy brands like Mt. Baker Vapor who make their product at the same time they send it to you.